White community should not trust Ramaphosa on land grab: FFPlus - SABC News - Breaking news, special reports, world, business, sport coverage of all South African current events. Africa's news leader. Groenewald says the white community should not trust President Cyril Ramaphosa when he says land grab will not happen. 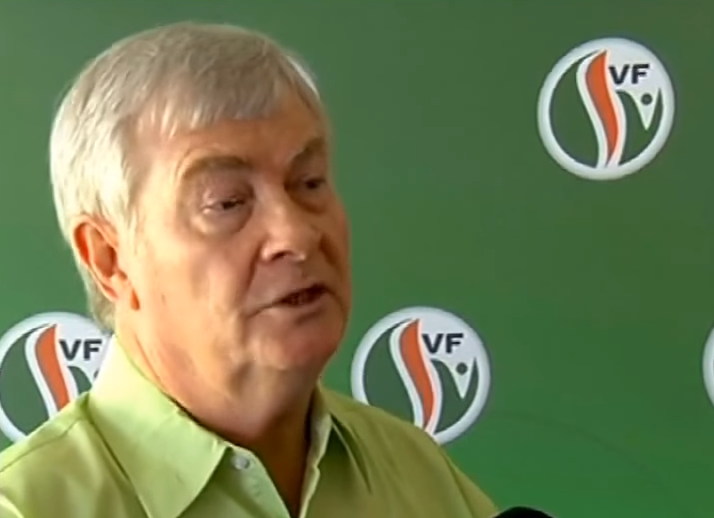 The leader of the Freedom Front Plus (FFPlus), Pieter Groenewald, has urged the farming community of Mokopane in Limpopo to vote for his party in the upcoming elections to prevent the African National Congress (ANC) from getting a two third majority vote. Addressing a group of farmers on a farm outside the town on Monday night, Groenewald says if the ANC and Economic Freedom Fighters (EFF) fail to get a two third majority they will not be able to amend Section 25 of the Constitution to expropriate land without compensation. He says the white community should not trust President Cyril Ramaphosa when he says land grabs will not happen. “If you want to prevent the ruling party, in coalition with the EFF, not to amend Section 25 of the Constitution then there is an opportunity on May 8. If you don’t vote then the ANC with their coalition partner, the EFF, can get less than the two third majority so that is what we must ensure, because if they don’t have the two third majority they cannot amend Section 25 of the Constitution,” says Groenewald. Meanwhile, Groenewald has warned that unlike some farmers in the Western Cape who allegedly promised Ramaphosa that they are willingly to give land to the state for expropriation without compensation, there are other white farmers in the country who are not willing to do that. “What Cyril Ramaphosa is telling people, like for instance the farmers of Stellenbosch that they don’t have to worry, I am saying they are like feeding a crocodile with the hope of being eaten last. If you have expropriation without compensation it will destroy the economy and in the end we are then on the road of Zimbabwe. If Cyril Ramaphosa survives the ANC then he can only serve two terms, what happens then after Cyril Ramaphosa?” says Groenewald.